Parle Agro Pvt. Ltd. is a beverage company who is known for, though not limited to, their mango juices. 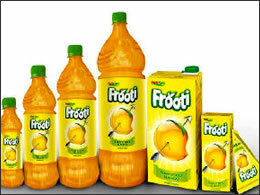 Popular juice brands Frooti and Appy are also a part of this company. There are seven factory locations in India, and they are headquartered in Mumbai, Maharashtra. Parle Agro is a pioneer for commercial fruit beverages in India. 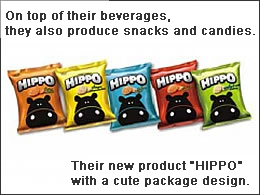 They were the first to package juice in cartons and plastic bottles. We visited their headquarter office and their quality control lab. What are your usages of the RX-5000a? We take random samples from different branches and test them to see if they are within the Brix standard that our company has set. How do you like the unit? It is very user-friendly we are very satisfied with it. Readings are easy to take, and also it is easy to clean. We have nothing negative to say about the unit. Parle Agro currently uses six Atago RX-5000a's. Unfortunately, photographs were not allowed inside the headquarters, but we took a commemorative photo at their entrance. Special thanks to Mr. Naik from the quality control department for his time and kindness to take us around the headquarter office and the lab. Thank you very much.